Your garage door may be one of the heaviest parts of your house. It takes a lot of power to open and close it, and that’s where your opener comes in. However, the core mechanisms used to physically move it are your garage door springs. Because they’re so important to the full functionality of your door, they need to be maintained properly. However, as we know, even proper care is sometimes not enough and your door springs may eventually have to be replaced at some time or another. Even if you’re one of the keenest DIY enthusiasts out there, we strongly advise against replacing them yourself. They’re responsible for a massive weight and it is extremely unsafe for an untrained person to attempt a replacement. Luckily for you, we’ve got plenty of expert technicians on hand to offer torsion and extension spring repair services to ensure that your door functions at its best once again. Do you replace any type of garage door spring? There are essentially two types of spring mechanisms, a torsion spring system and an extension spring system. We replace both these types, and most of the brands that they come in. 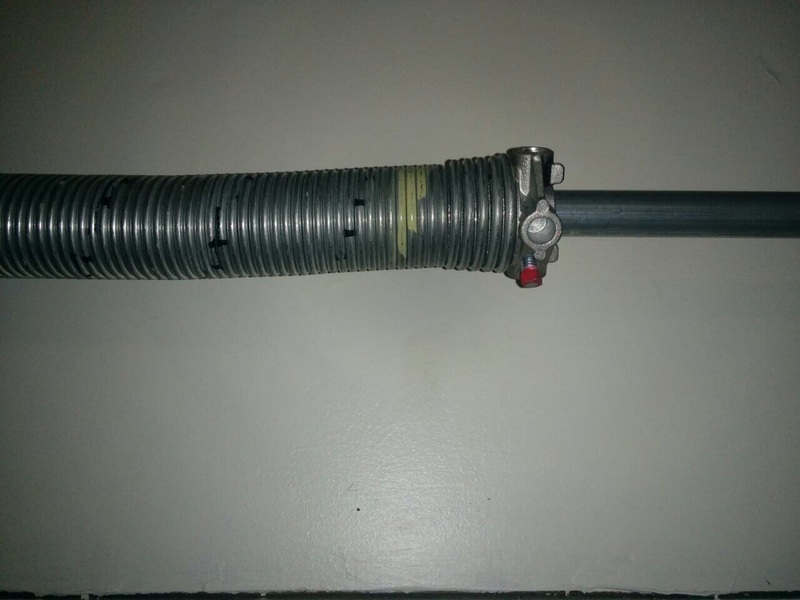 Having a broken garage door spring is extremely dangerous and should be fixed as soon as possible. How do I know if my springs need to be replaced? A quick way to tell is to actually look at the springs to check if they’re broken or not. It may also appear loose and not as tightly coiled as a spring should be. Another sign is that your garage door doesn’t open all the way. Because these springs are responsible for all that weight, you may even hear a loud bang when it snaps. But don’t worry, we’re here to replace any broken garage door spring out there! How long can I expect my springs to last? This really depends on how often you use your automated garage door. Most springs can last for around 10,000 cycles with a cycle being a complete open and close action. This roughly equates to an approximate 7- to 12-year lifespan. This is why it’s really important to properly care for and maintain your springs. Garage Door Repair Hunters Creek has become one of the best repair companies in the industry. We know that this is because we really listen to our customers. Contact us now if you have any additional questions or queries.